Breathtaking ocean view from this second story front unit at Kihei Cove. 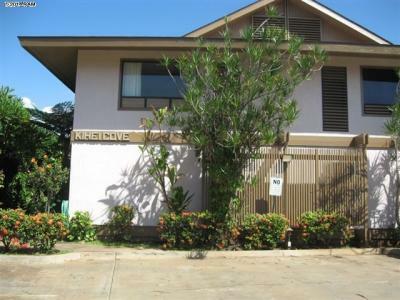 Small 6 unit complex with a pool just steps from beautiful Charley Young Beach. Very large covered lanai. Laminate floors throughout. Fully furnished with an old Hawaiiana flavor. There is also a rare additional storage room in the basement. Condo is currently rented for $1,650.00 on a fixed lease expiring 4/30/14.